“The viola da gamba is not the ancestor of the cello!” depending on the musician who plays one this is sometimes whispered but most always dramatically stated. Dance and music for me share a frustrating defect for me that they do not share with other arts or literature and sometimes with plays. A dance performance and a concert are fleeting. You are there and then they are gone. This is particular true with modern dance where a performance might not ever be repeated. It is the same here in Vancouver with plays that don’t return. At age 75 all those concerts I have attended are now mostly blurs in my memory. Some, very few, stand out. In some I have even my own photographs that prove I was a witness. But there are a few musical instances that are embedded in my memory. Such was the case for this past Friday’s Stylus Fantasticus – Virtuoso Flights of Fancy from the 17th Century at Christ Church Cathedral. The program was produced by Early Music Vancouver. 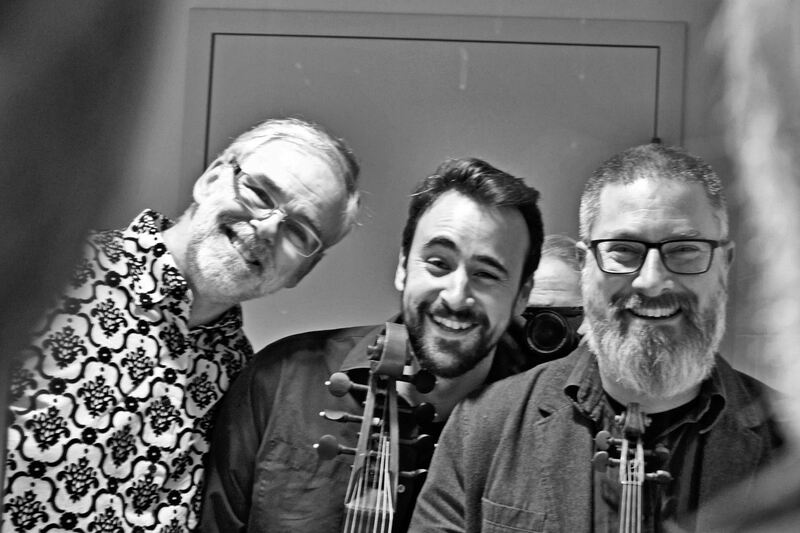 It happened simply because last year, when the luminary UK musical group Fretwork came to Vancouver (courtesy of EMV) its bass gambist, Sam Stadlen became friends with Victoria harpsichordist and keyboard player Michael Jarvis over beer. They and Victoria violinist Paul Luchkow (and member of the Pacific Baroque Orchestra.) planned a concert that would expose us to even more 17th century music of the so-called- fantastic period. This particular concert of which I enjoyed a one hoursampling the day before at Douglas College in New Westminster featured moments that I cannot forget. Each one of the performers has qualities that in my eyes make them unique. Harpsichordist Michael Jarvis is slowly but surely teaching me to appreciate the instrument beyond its usual role as the background continuo in very small orchestras and medium sized ones. In a 21st century of good enough is good enough it was almost a pleasure to see how punctilious (some might think s0, I don’t) in Jarvis’s persistence to tune his instrument (a notorious unstable one) to a perfection that probably would not be noticed by mere mortals like us. Jarvis’s take on Louis Couperin’s (1626-1661) solo harpsichord work, Le Tombeau de Monsier Blancrocher was memorable for me in the acoustics of Christ Church Cathedral. The piece features the story of a man who falls down the stairs and dies in the arms of a famous harpsichordist/composer of the 17th Century, Johann Jakob Froberger. Violinist (and in a pinch a very good violist) Paul Luchkow may have been born in the past century but he has maintained an intelligence and awareness of the importance of diversity by also being a reputable sound engineer and a recording one at that as he has recorded the program in a Victoria cathedral for a future CD release. Luchkow is the kind of performer who once in a little church concert with Jarvis to which I was present with my wife, daughter and granddaughter, had the pleasant audacity of playing Arcangelo Corelli’s Violin Sonata in C major, Op.5 No.3 as an encore! Luchkow showed his mastery of a very fast and most demanding virtuosity with this work in which both Jarvis and Stadlen also did shine. Part of the fun was Luchkow’s titling the animals in question with understated humour. Sam Stadlen in the above piece slipped a paper under the 7 strings of his instrument to imitate the drums of the marching musketeers (that follow all those animals). There are some instruments that are sometimes buried in little baroque orchestras and you can never really hear them unless you are a sonic expert. I can cite the harpsichord, the lute (including theorbos and archlutes), the baroque bass, and the viola da gamba. This latter instrument has frets (which uniquely can be moved!) and is part of a family (treble, tenor and bass) of violas de gamba (that feature instruments that are played with a bow with the instruments in vertical position. They have frets so they are related to the lutes and the baroque guitar. 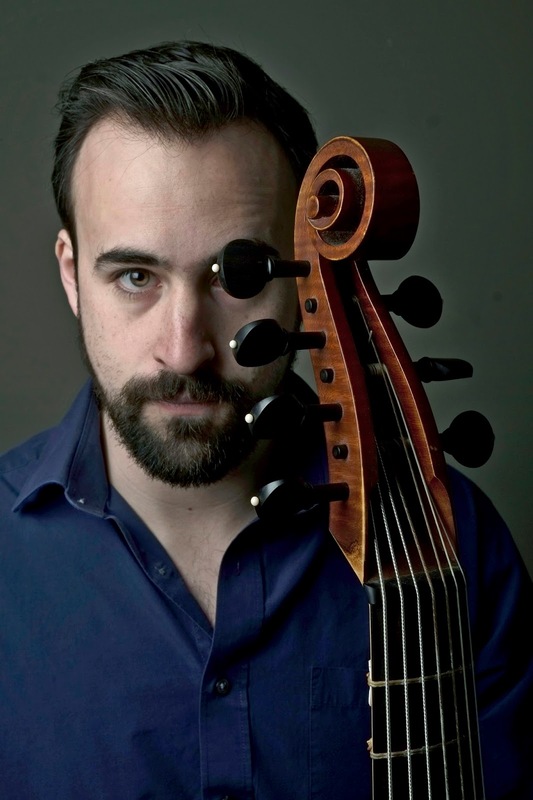 Stadlen’s bass viol may look like a cello but it is certainly not one! I can simplistically state here that if violins are the baseball instruments, the viols are the softball instruments as they are played with the hand holding the bow underhanded. I also noticed that the bow is more at an angle as opposed to violin’s more on the flat side. In Marin Marais’s (1656-1661) Les voix humanes Stadlen navigates with a conversation in French between possibly two persons (the ornaments imitate the careful placement of long and short syllables in French declamation as per the notes to the program). 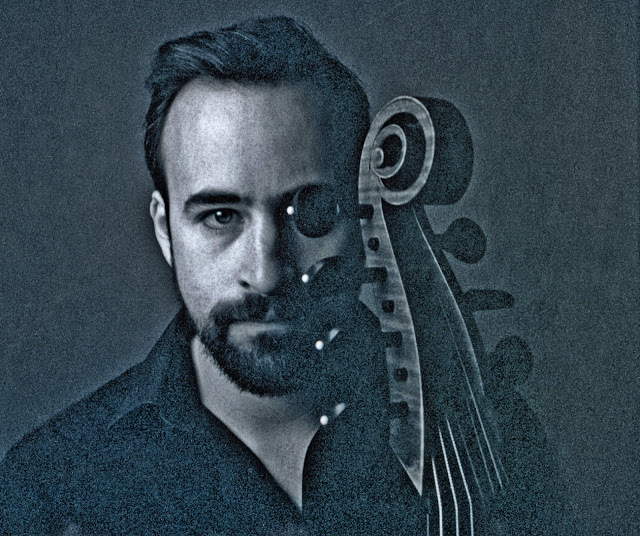 I have heard cello solos but nothing prepared me to listening to Stadlen’s instrument (I was on the first row) where I am sure I could hear sympathetic vibrations between the 2 a &A strings and the 2 d & D strings (this was volunteered by my Portland baroque bassist Curtis Daily in a phone conversation). I heard sounds that were almost whispers. Stadlen explained to me that the instrument is lighter and the wood is thinner. I can only add that this instrument has resonance that exceeds that of any instrument I have ever heard. Gluten-free Stadlen, whom I was honoured to have in my house during his Vancouver stay, was a delight of conversation. He has a Latin American girlfriend who is a translator. Stadlen speaks a nifty Spanish. I taught him one very important word used by the Spaniards. This is the word “fenómeno”. It is used to describe the unexplained talents of such people as Casals or Manolete. Did it come from the sorcery of the devil? Or did it come from God? I have used the word to describe Canadian ballerina Evelyn Hart. I must now add that audacious word as a description of Stadlen’s playing. This version of Les voix humaines by Jordi Saval is lovely but it lacks the presence of listening to the instrument very close in an intimate place. Yesterday I braved the rain while driving to New Westminster and managed not to get lost with my confusion of streets, avenues and diagonals. I went to listen to Paul Luchkow, violin, Michael Jarvis, harpsichord and Sam Stadlen, viola da gamba play a one hour concert at Douglas College. The folks at Douglas College (the Douglas College Music Department) offer an array of One O’Clock concerts (all free) that feature an eclectic variety of music by wonderful musicians. 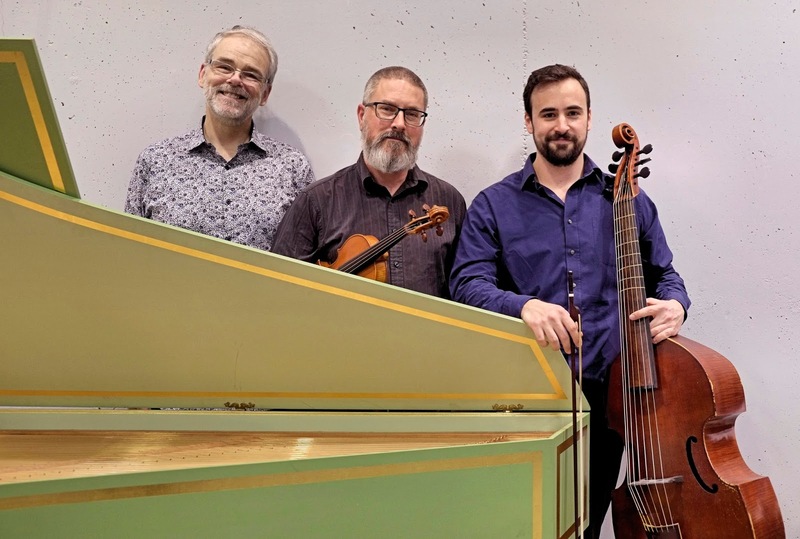 It is thus not so unusual to have our Victoria baroque musicians Luchkow and Jarvis playing with the UK group Fretwork's gambist Sam Stadlen in a concert of music of the 17th century. Much of the music of that century was called Stylus Fantasticus. Composers took chances and did most daring stuff. You listen to some odd notes that remind me of Thelonious Monk not quite right wrong notes. In Vancouver, I must note we had the Pacific Baroque Orchestra many years before New York City could claim having a baroque orchestra all their own. For those who might not understand what a baroque orchestra is here is a shortened explanation. Most of the wonderful Italian string instruments of the 17th and 18th century were modified in the 19th century so they could play more loudly in the bigger venues of that century. By then some kings had lost their heads so concerts in kingly chambers (and funding) stopped. Those string instruments were beefed up so that metal strings could be used under more tension. Also vibratto became popular in the 19th as it is now. So the concerts featuring composers of the late and early baroque suffered uneeded vibrations! In the late 1950s there was an interest in attempting to play that baroque music with instruments that sounded like those instruments that were beefed up. So many of the baroque string instruments used now are modern reconstructions and with the added use of gut strings. The sound is less loud and more subtle. Those who might notice details will note that baroque violin and viola players do not have chin rest and the baroque cello has no endpin. If trumpets are part of the repertoire they are trumpets without valves (they are difficult to play). With the advent of internet search and the opening of music libraries in Europe there are composerts of the 17th and 18th century that were pretty well forgotten until the end of the 20th century and in this one. This means that any Early Music Vancouver concert will feature composers you may never have heard of. So neatly you are attending a "new" music concert! In yesterday’s concert I got a slightly reduced in time sample of what I will listen to tonight in Early Music Vancouver’s concert with the same players at Christ Church Cathedral at 7:30. Of particular interest to me was the Sonata Representativa by Heinrich Ignaz Franz Biber (1644-1704) which featured the sounds of a nightingale, a cuckoo, a frog, a rooster and a hen, a quail, cats, and a musketeer parade. I was very disappointed that the trio did not play a chaconne (one of my fave tunes of the 17 th century) but they somehow made up for it with Marin Marais’s (1656-1728) La Sonnerie du Ste-Genevieve du Mont (1723). It sounds something like a folia (and it does sound sort of obsessively crazy)! But for Vancouver audiences to be able to listen to three instruments in the intimate location that Christ Church Cathedral is a treat. And a treat, to experience the sound of cello lookalike (but not related to violins or cellos) viola da gamba which is related to the lute as it has frets. The bass notes of the viola da gamba have the presence (not quite in my books) to the remarkable bass sounds of those 6 ft 2inch long theorbos. And you left with the interpreter, noting two straggly kings parked outside the bedroom in simple camp chairs. Your trip to the White House Began to take on the auras of an uncomfortable dream. The ceilings over you were cracked, the chandeliers were filthy, the rugs had bold wounds in them, as if tigers prowled the floor. But not one soldier on the stairs to guard “Brother Frank” from insurrection. Any lunatic could visit the President of the United States. All you had to do was get past the sailor with the eyebrows. Were those really kings in the hall? They looked unsavory to the brigadier [Polish]. What would he write to his people? He’d been to Brother Franklin’s home. The White House appeared to be under a murky spell. He wondered if the rest of America was one monstrous hallucination conceived by FDR to dupe Polish brigadiers? Franklin Roosevelt was like a seedy wizard in his bed. He shook hands with you, laughed, offered you peanuts, told you a riddle, fondled his dog [Fela], but what could you say about him? The smile, the pince-nez, the cigarette holder, the young sailor, the lumpy robe, they were all conundrums. The brigadier nodded to the canon on the lawn. He got out of Roosevelt’s city with the sense of having been spooked by a sailor, a dog, and a President who wore a magical robe to bed. 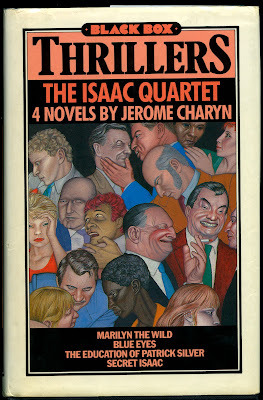 You might wonder how Jerome Charyn could possibly write a novel in which a retired New York City Police Commissioner, Isaac Sidel, becomes mayor of NY and then ultimately in a fictitious 80s becomes a gun toting (a Glock) President of the United States. And as Charyn writes in Winter Warning (2017) Sidel is the US’s first Yid head of state. And to do that there with biting detail Chartyn describes a White House very much like our present one.. But the fact that nestled into those almost 40 novels and about 19 nonfiction books, there are two that I am now going to baptize as the White House Novels. They will add up to three with the just released Winter Warning. The above quote involves a young sailor, Seaman Oliver Beebe who starts as Franklin Roosevelt’s barber and ends up being a sort of Abdul to Franklin’s Victoria . 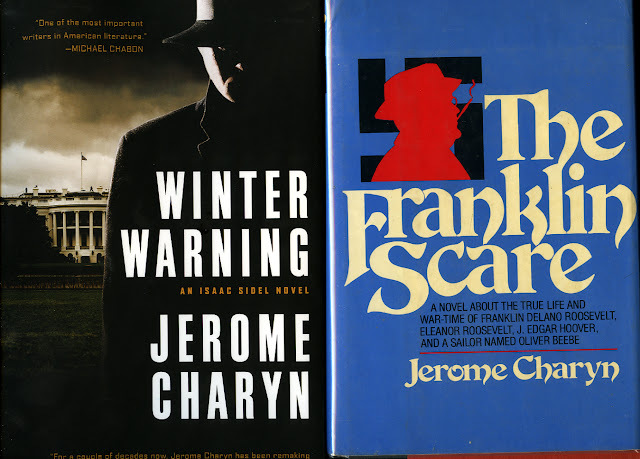 There are many detailed accounts in the Franklin Scare of the goings on in the White House. In Charyn’s I Am Abraham (a first person account ) novel there are further details on another White House in the time of War. I would venture to say that with the Trump White House being the mess it is Charyn had a great time telling us how President Isaac Sidel is ignored by his staff, keeps dropping his Glock on the carpet and is haunted by Abraham Lincoln. Patrick Silver left the baby in the lobby of the Plaza Hotel. The baby, who was forty-four, sat in the upholstered chair, with his knuckles in his lap. His name was Jerónimo. A boy with gray around his ears, a Guzmann of Boston Road, his education had stopped at the first grade. He lived most of his life in a candy store, under the eye of his father and his many brothers. But the Guzmanns were feuding with the police. They couldn’t protect the baby on their own. They had to put Jerónimo in Patrick Silver’s care. Patrick was his temporary keeper. Jerónimo had blackberries in his head. With a carpet under his feet, and candelabra around his chair, he was thinking of the Guzmann farm in Lock Sheldrake. It was the blackberry season, and Jerónimo wanted to stick his fingers in the briars and drink blackberry juice. But he was a hundred miles from Lock Sheldrake, waiting for Patrick Silver in a hotel with rust-colored wool on the floor. Patrick Silver rode the Plaza elevators in a filthy soccer shirt. The elevator boy was uncomfortable with a giant who stank of Dublin beer. Silver had a ruddy look. He came to the Plaza without his shoes. 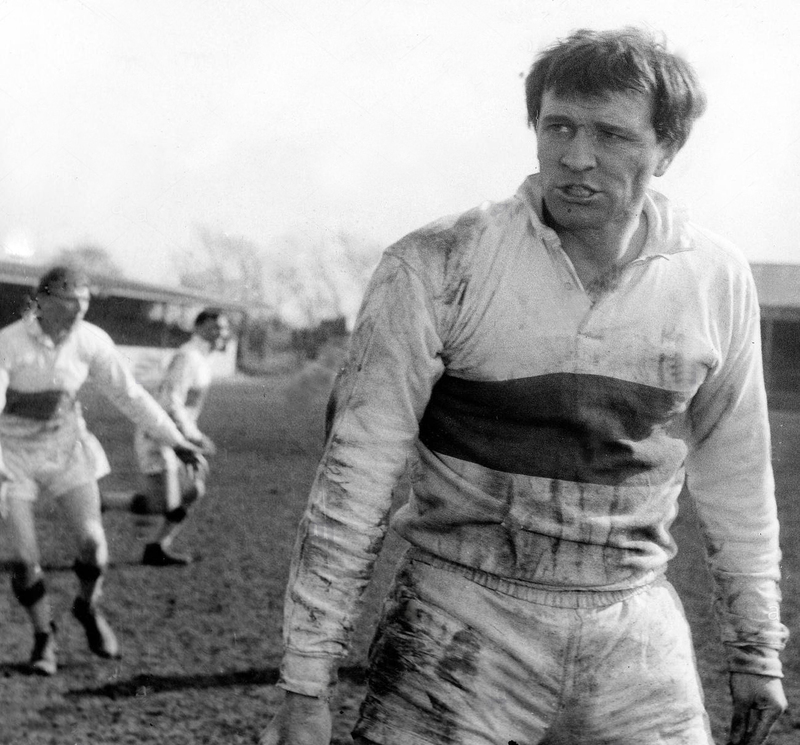 He was six-foot-three in simple black socks. 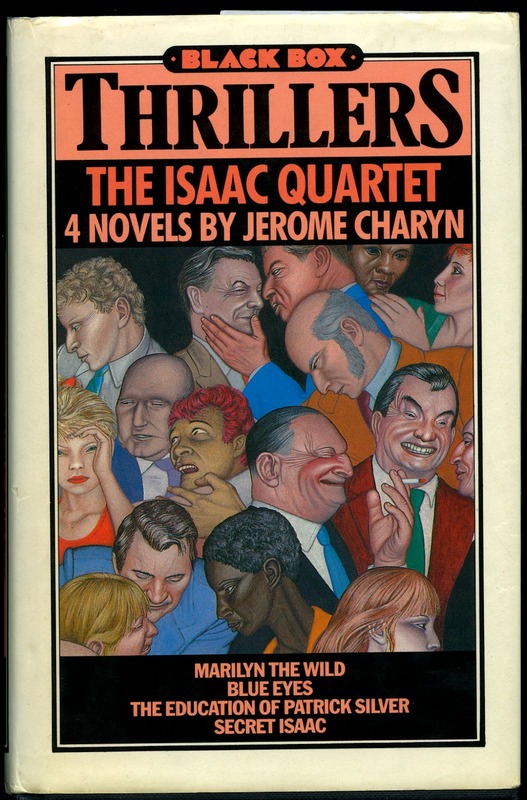 Who would have known that Jerome Charyn's third Isaac Sidel novel, The Education of Patrick Silver, was inspired by Richard Harris and that the principal protagonist of the novel, Patrick Silver (shoeless and filthy) was in fact the very same Richard Harris? I found out this and much more just reading (and reading over) the wonderful introduction to Charyn's latest Isaac Sidel Winter Warning in which the man, President of the United States, now, walks into the White House with his Glock.